Iain Meaker, the Executive Manager for Tourism & Hospitality at Comair/British Airways shares his thoughts on what’s unique about airline customer experience management and the broader travel industry. Iain discusses how the organization’s purpose statement of “we lift you up” permeates the business and provides a platform for employee and shareholder engagement. Julia and Iain explore how Comair has grown and innovated around the needs of customers and what it means to operate multiple brands under one roof. Julia shares her plan for more CX Mini Masterclass episodes during the rest of December. 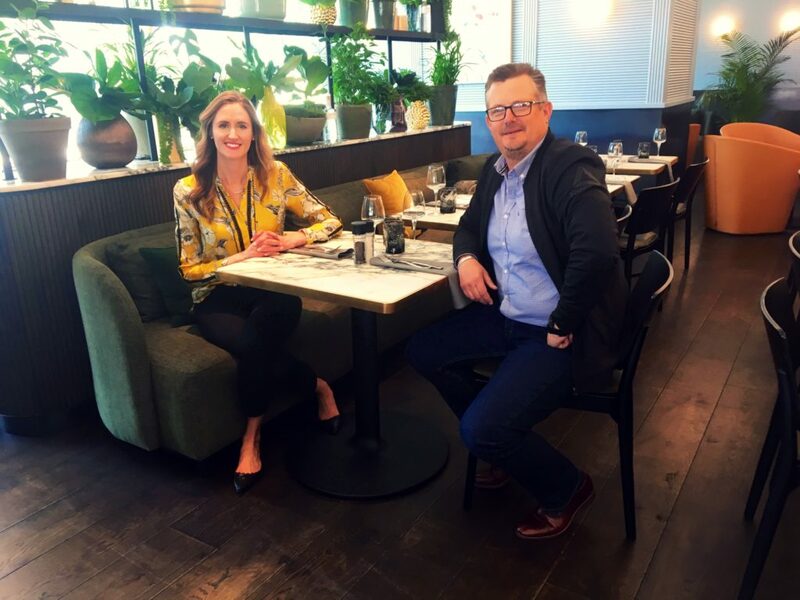 Julia and Iain catch up at Comair’s new restaurant adjacent to their flagship SLOW in the City lounge. The travel experience is an incredibly relatable one. We all travel, whether it’s our daily commute or a flight to a holiday destination, moving from point A to point B is a universal human experience. Given the breadth of consumer travel, it means that brands in this industry need to service the full spectrum of customers and face an endless set of expectations to live up to. Comair is in the travel business, with one of the most complex forms of travel – airline travel – at the core of their offering. The organization operates British Airways in South Africa, along with a regional discount carrier and package holiday provider, Kulula. The brand also operates the highly successful SLOW lounges, a luxury lounge experience available to premium BA fliers and through selected partner businesses. Among consumer travel experiences, the air travel experience can be a particularly difficult one to deliver. Not only do brands have to face a broad spectrum of consumer expectations, they also have to contend with factors like weather and 3rd party providers, that are out of their direct control. And when air travel goes wrong, it can elicit an emotionally-charged response from consumers. After all, we normally travel to get somewhere, not just because we enjoy being in transit, so when things don’t go to plan, it can impact our lives and be very upsetting. For this reason, airline customer experience management isn’t for the faint of heart, and I take my hat off to those brands that are surviving, and in the case of Comair, thriving. Iain shows me around the SLOW lounge, including the co-working spaces. Part of Comair’s recipe for success is their ability to think laterally innovate around customer needs, even if that means expanding beyond the confines of the traditional airline value proposition. Comair’s SLOW lounge is a prime example of this. 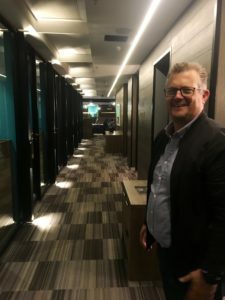 The organization launched its own brand of lounges, and has expanded the experience to include a co-working space and an open-to-the public fine dining restaurant next to their SLOW in the city lounge (which isn’t even at an airport – it’s in Sandton, Johannesburg’s financial center). The evolution of this offer was inspired by the needs of customers. The Cape Town – Johannesburg flight route is one of the top 10 busiest in the world. There are many customers transiting between these two cities, and Comair identified the need for an “office away from the office”. 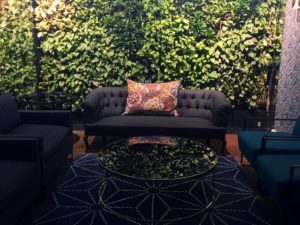 It’s pretty innovative for an airline to get into the business of co-working spaces, but Comair’s lounges have been a huge hit with customers. Comair has the added challenge of operating many brands under one roof, especially since these brands serve different segments of the market. The SLOW lounge is very clearly a premium offer, while Kulula is more akin to a discount carrier like Southwest Airlines in the US. Without a strong element of cohesion, it would be easy for an organization operating such diverse brands to feel that it had “multiple personalities”, but Comair has avoided this through its uniting purpose statement of “we lift you up”. It’s a mantra that permeates all of their brand strategies and operations, including the company culture and employee engagement. The SLOW in the City lounge offers a mini-oasis for the busy traveler. Comair’s success has been aided by their shareholder support for customer experience. Time and time again, I speak with executives who are struggling to implement CX management due to a lack of shareholder support. Without investor and board-level buy-in CX initiatives will flounder or be sidelined in favor of strategies that deliver short term results (sometimes at the expense of brand integrity or long term customer loyalty). Comair has engaged its shareholders to support CX, and the leadership team has continually made the case for investment in the evolution of Comair’s various customer journeys. Look no further than the organization’s 2018 annual report, which includes just about as much emphasis on customers and other stakeholders as I’ve ever seen. This, alongside financial results that are the proof in the pudding: Comair has an unbroken record of profitability since the company’s inception 71 years ago. It’s an inspiring case study for airline customer experience management. This episode was sponsored by CX University, a CX training company offering a broad array of CX learning options, including e-learning modules and CCXP practice exams. CXU is an accredited resource and training provider and their resources and they offer a flexible and affordable monthly subscription model. Listeners of this CX podcast can get 10% off their first month’s subscription by entering the discount code PODCAST10 at checkout. Decoding the Customer is a series of customer experience podcasts created and produced by Julia Ahlfeldt, CCXP. Julia is a customer experience strategist, speaker and business advisor. She is a Certified Customer Experience Professional and one of the top experts in customer experience management. To find out more about how Julia can help your business define customer experience strategy that delivers results, check out her customer experience advisory consulting services or get in touch via email. To hear other episodes of Decoding the Customer, click here.